A bad credit score can have a major negative impact on your finances and even on your life. 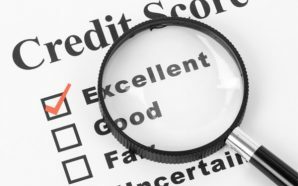 Bad credit scores make it difficult to take out a loan for things like buying a house or a car, but many landlords and leasing agencies also require a good or at least average credit score as part of rental applications. What’s more, it’s becoming more and more popular for employers to check your credit score during a background check! Many individuals have found themselves turned away from jobs that they were well-qualified for, simply because they had a poor credit score. Paying nothing on a credit card balance is never a good idea. Of course if you only pay the minimum you will still be charged interest, but if you pay nothing at all, this interest rate will typically be even higher. If all you can afford on a monthly basis is the minimum payment due, as least make sure you always pay it. Maxing out your credit card is virtual credit score suicide, but it also can be bad news for your score if what you owe is a substantial amount of your credit limit. 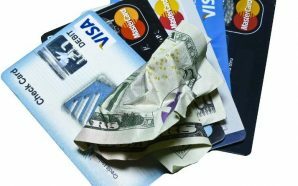 If you can afford to do so, aim to only ever charge around a third of your credit’s limit on your card, as this way you’ll be nowhere near to maxing it out and still have enough credit cushion should a financial emergency arise. Unpaid bills, especially once they’ve gone into the hands of debt collectors, can send your credit score sinking fast. Avoid this unnecessary credit score issue by always paying your bills on time. If you are in the habit of paying bills late or not at all, the chances are you’re living outside of your means, and will need to cut back significantly in order to regain financial stability. Do your score a favor by paying those bills on time, and cutting back on what you can’t afford. If you’ve taken out a loan, you’re going to need to pay if off in full before your credit score really starts to improve. Of course you may have a massive loan (such as a car loan or student loan) that will take many years to pay off, but if you have a small to medium loan you may want to try to pay if off as fast as you can, as this will definitely give your credit score the boost it likely needs. If you don’t have a credit card and have been refused approval to one on account of your poor credit score, consider getting a secured credit card. A secured credit card is usually much easier to get approval for because a deposit is required, and this deposit is typically the limit of your credit. While this won’t provide the financial freedom of a traditional credit card, it will allow you to build up some credit and improve your credit score if used responsibly. Whether you want to take your credit score from ok to great or from terrible to average, use our tips to help you get there. Good luck! Once you have done this calculation, you will get a rating from 300 to 900. 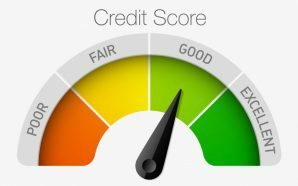 Above 760, your credit score is considered excellent and it will be very easy for you to get credit, mortgages and loans for loans. Preferential rates between 700 and 759, your score is very good and between 651 and 759 it is correct but the loan will cost you more. 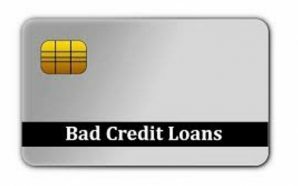 Below 650, your credit is considered bad and it will be very difficult for you to get credit after your bank. The credit bureaus take into account the deadline for payment but also the date on which you received your invoice. The closer to this date you pay, the better your score will be. If you have the money, do not wait 21 days to pay your debt. A good way to quickly increase your credit score is to not use your entire credit pool. If you can try not to exceed 50% of the amount allocated to you. The ideal is to use only 30% or even 10% if you want to achieve an excellent credit score. If you want to close an account, your balance must be at $ 0. In addition to the credit granted with a card, do not hesitate to take a personal loan, a mortgage or a loan for the car. Your ability to repay several different types of credits is taken into consideration when calculating your score. When Is The Right Time To Consolidate Credit Card Debt?